Last year, I did a lot of reading focused on self-discovery, mental and emotional health, and life changes. 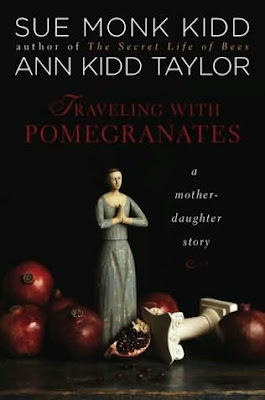 One of my favorite books that I discovered during this time is Traveling with Pomegranates by Sue Monk Kidd & Ann Kidd Taylor. 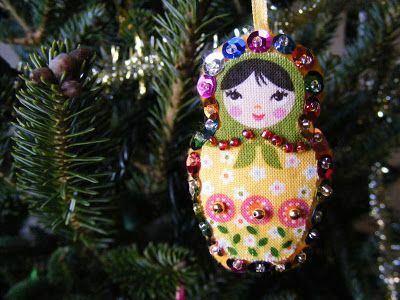 In the book, Sue Monk Kidd discusses some of the symbolism of the matryoshka, or Russian nesting doll. I loved the idea so much that I gave both my grandmother and mother their own matryoshka for Christmas, along with a quote explaining the significance. "Our mothers are the first word we know, the source of our lives and stories. They tie us to the great web of kin and generations....we're not only connected through blood, tissue, and female likeness, but through feminine heart, memory, and soul. Inseparable but separate - a mystery." Ever since then, I have been in love with the matryoshka crafts I have seen around the blogosphere. I decided that it is high time I do a round-up of these great projects! Enjoy! 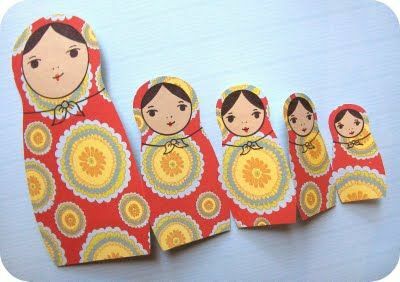 This nesting doll card idea from Jessica at Zakka Life is perfect! She even provides a printable template so you can make your own. It's a bit early for me to be thinking about Christmas decor, but I plan to make one of these fabric ornaments using the tutorial on The Chipper Snipper. If you're looking for a wonderful gift for a little girl's room, ReStyle Shop on Etsy is the place to look! 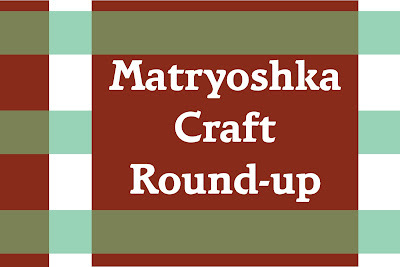 This matryoshka sewing kit from Vanessa at Tried & True is amazing! 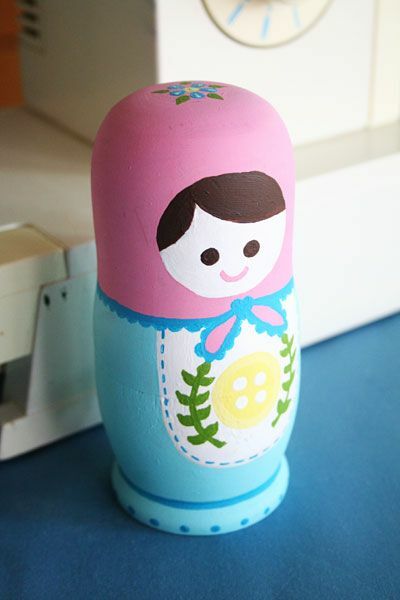 She provides a tutorial on how to turn a matryoshka doll into a pin cushion & tape measure holder. Fun and functional! I'm not completely sold on the idea of a tooth fairy pillow, but if I decide to embrace it before my kids start losing their teeth, this matryoshka pillow from Dragon & Phoenix is super cute! She even provides a PDF template for this project. 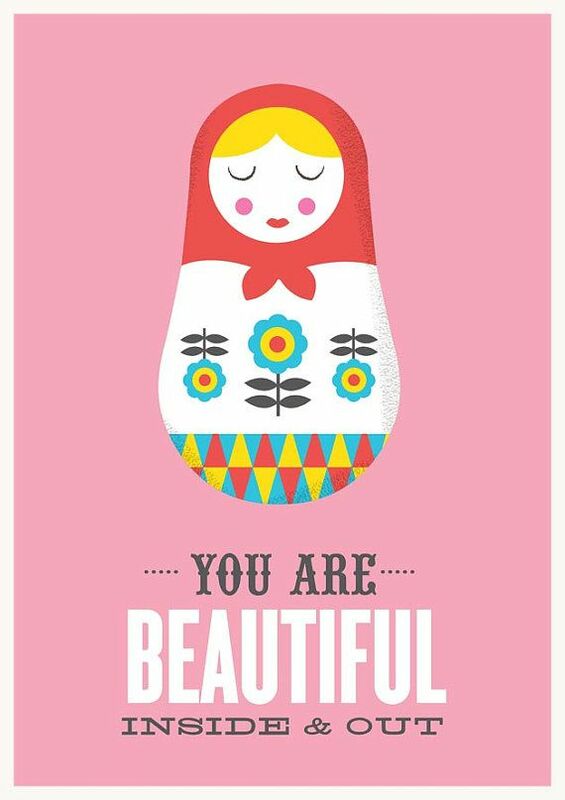 I love matryoshkas, as well! In fact, I found an entire case of them at an antique show the other day, and I was so thrilled I took a picture and shared it on my blog! I love all of these crafts, especially the sewing kit and card! Thanks for the great ideas! Thanks for the comment, Mandi. 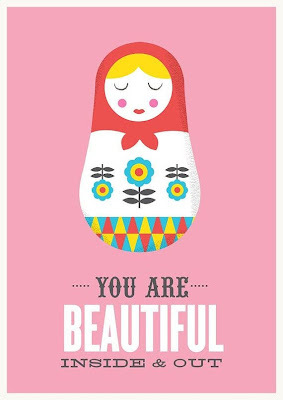 I visited your blog and saw your photo of the matryoshkas. I don't think I would've been able to resist buying a couple of them! Those are beautiful! Thank you for sharing this on my What Are You Doing Blog Hop!